Temple Israel offers a wide variety of music programs and classes for all different tastes. 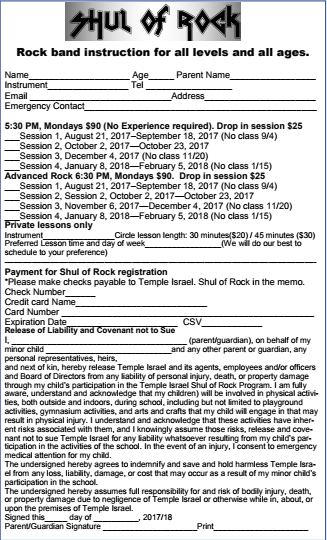 The Shul of Rock is rock band instruction for all levels and ages. Classes are comprised of four sessions. Private lessons are also available. For a full list of session dates, information and sign-up instructions, click here.